The lawsuit claims that LinkedIn has been on a massive campaign to boost revenues and its subscriber base. While engaged in this plan, it allegedly violated state computer fraud and abuse laws, the Wiretap Act, the Stored Communications Act and state privacy laws. The gist of the “hacking” allegation is that users may remain logged into web-based email such as GMail, Yahoo! 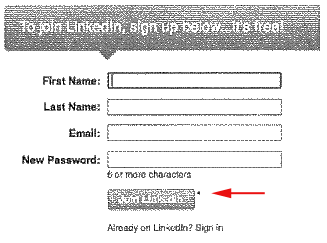 Mail and others at the same time that they are logged into LinkedIn. During those times, LinkedIn may access the external webmail account (which you have supposedly given them permission to access) to harvest not only emails in your address book but also those contained in your incoming, stored and outgoing email folders. Complaints taken from the LinkedIn website where one user is extremely upset that email invitations were sent to a mentally ill individual, inviting her to be a connection (among several others who were preferred to remain in the “forget and stay at a distance” category). Assuming members found out about invitations being sent out to the email addresses harvested from their external email accounts, a distraught LinkedIn member must invest an average of 20 seconds to withdraw each invitation and subsequent messages from being dispatched. Private user email addresses are valuable to the company, which are used in order to provide its premium “InMail” product. This allows members to send emails to another member who is not a direct link or connection. The company charges users $10 per email for the service and claims that they are far more effective than any other standard email communication. What makes this case even more controversial is the fact that the email invitations to new users lend the appearance to the recipient that they may be personal messages or at least sent with the knowledge and consent of the LinkedIn member. The company is accused of violating the “credibility factor” that LinkedIn itself promotes is the true value of its own network. The complaint includes a detailed explanation of the user registration process for new users. It claims that LinkedIn didn’t even follow generally accepted legal practices and those which would be socially acceptable. A more detailed analysis of the complaint, including a copy available to download, is available in an article by Jeff John Roberts, an intellectual property lawyer writing for Gigaom. Blake Lawit, Senior Director of Litigation at LinkedIn, made a bare denial of the allegations in a post called “Setting the Record Straight on False Accusations” dated September 21. It is neither unexpected nor surprising. Lawit insists that members come first at LinkedIn and that the company never conducts any activity (such as accessing your email account or sending messages and invitations) without your permission. What remains to be seen over the course of this lawsuit is whether “your permission” also includes your knowledge that you were giving permission to LinkedIn to carry out certain activities.